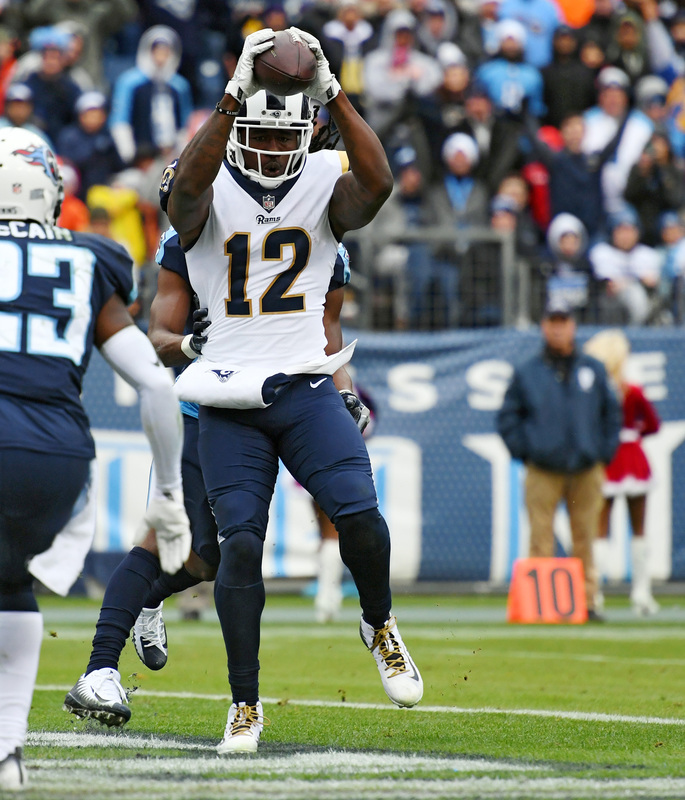 Rams To Fill Sammy Watkins Void Internally? The Rams are leaning towards addressing the Sammy Watkins void internally, Alden Gonzalez of ESPN.com tweets. Without last year’s No. 1 wide receiver, the Rams are eyeing bigger roles for Josh Reynolds and Mike Thomas. However, they’ll continue to monitor the market. Often times, the second wave of free agency leads to veteran bargains for teams. The Rams are comfortable with what they have, but they’ll be keeping a watchful eye on players who encounter underwhelming markets. Some of the top names still on the market include Jordy Nelson, Terrelle Pryor, Eric Decker and Mike Wallace. Along with losing Watkins in free agency, the Rams also parted ways with Tavon Austin. They’ll have Cooper Kupp and Pharoh Cooper as well to return with incumbent starter Robert Woods. Kupp led all of the team’s wide receivers last year with 62 catches for 869 yards receiving. 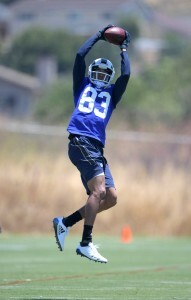 Watkins led the team’s receivers with eight touchdown catches. Reynolds and Thomas played in limited roles last season, combining to catch 16 passes. Reynolds was the only of the two to haul in a touchdown pass. Reynolds was a fourth-round pick in last year’s draft and Thomas was a sixth-round selection by the Rams in 2016. Kupp led the team in targets last year (94) and Woods was targeted 85 times compared to 70 for Watkins, despite playing in three fewer games. It’s clear the Rams placed a higher priority on addressing their secondary this offseason while trusting in a group of in-house young wide receivers to work with Jared Goff, along with running back Todd Gurley. They’ve already traded for Marcus Peters and Aqib Talib and placed their franchise tag on Lamarcus Joyner rather than Watkins. The Rams have become the latest club to lock up their 2017 draft class, as the team announced they’ve agreed to terms with fourth-round wide receiver Josh Reynolds, fourth-round linebacker Samson Ebukam, sixth-round defensive tackle Tanzel Smart, sixth-round fullback Sam Rogers, and seventh-round linebacker Ejuan Price. Reynolds, who posted 1,039 receiving yards and 12 touchdowns during his final season at Texas A&M, figures to see the most playing time of the rookies signed today. The 6’3″, 195-pounder — whom Lance Zierlein of NFL.com compares to NFLer Marvin Jones — will compete with fellow rookie Cooper Kupp for playing time behind Robert Woods and Tavon Austin.